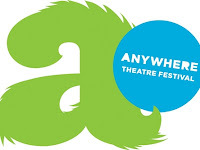 Brisbane’s Anywhere Theatre Festival opens today and in some exciting news, I am one of the volunteer reviewers! The Anywhere Theatre Festival gets theatre out of its traditional confines and into accessible, atmospheric public spaces. Shows may be held in foyers, in private garages, in the Museum or parks. This is also a great chance for the dozens of small production companies in Brisbane and Queensland, who may not be able to afford to rent theatre space, to show off their talent and creativity. This festival is all about accessibility. Offering a range fun, innovative theatre shows, there is something to suit just about everyone. The tickets are affordable and the locations are the essence of accessible. Unsure about being in QPAC? How about seeing a show in the foyer of the Bell Brothers Building on Brunswick Street?